For those of you who remember, on May 6, Set to Kill was sent to Castalia House to be published by the Supreme Dark Lord Vox Day. As the Injustice Gamer told me, what had been a one month turnaround was been retasked for a three month turnaround. As of this Saturday, three months will have passed. Normal people would assume that's a rejection, right? I have, of course, already planned for a rejection. That's why I already have a cover. I've offered some Advanced Review Copies to certain parties who will remain unnamed. Heck, I even started planning for rejection on the Love at First Bite series, which I submitted in June. .... And then I got a letter from Vox Day. See, since I'm a neurotic bugger who likes to cover all of my bases, I sent two emails asking for confirmation that they at least got the submissions (I had also sent my Love at First Bite series a month after Set to Kill). With the first one, I didn't hear back. This wouldn't be news. Name me a publisher that acknowledges every random writer who sends in a request for "Hi, have you read my book yet?" Unheard of. Imagine Tor doing that. Or Baen. And I figured, with the deadline approaching, it was game over. I said as much in my Facebook group. One member of said group is L. Jagi Lamplighter Wright. At her behest, I send the second letter in on the 27th. Hello. 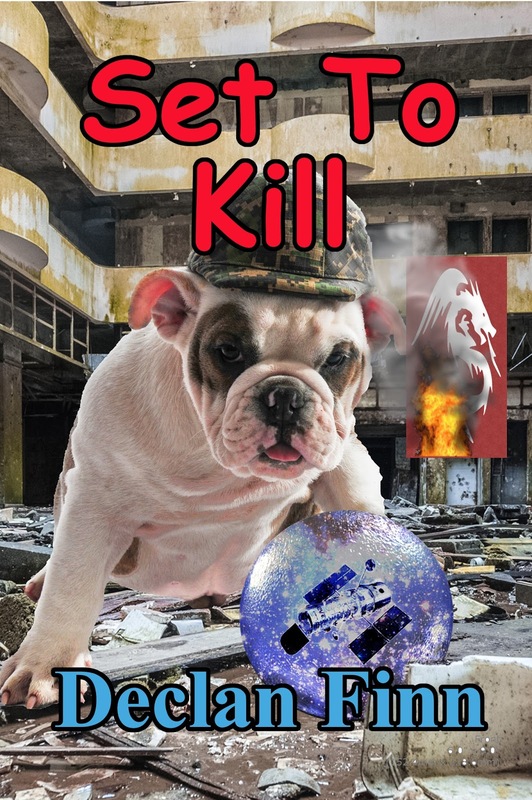 This is my second attempt to at least conform that Castalia House at least received the submission "Set to Kill", if not "Honor at Stake," "Murphy's Law of Vampires," and "Live and Let Bite." Madam Wright suggested I contact you to confirm the receipt of these submissions. We do not have these and can confirm we never received them. Well, that's something you don't see every day. The owner and editor in chief sending in a letter, personally, to some random schlub who asked how the submission was going. I thanked him very kindly, and went on to prepare to self publish everything. Waiting another 3 months was not something I looked forward to. It was suggested by a few people that I ask if something to be done about this. Give Castalia another shot at it. All I could think is Really? There are no publishing houses with a backlog (ie: most of them) that is going to expedite the books for some random idiot online. Vox was on the radio show for a few minutes, literally before he went to bed, and he cited my blog once, so .... Not going to happen. Yes, as much as it pains me to say it, I'm just not that big a deal within the Sad Puppies world, and I don't think I exist in the Rabid Puppies world ... if I do exist, someone please tell me. Anyway, in the spirit of "You don't ask, you don't get," I sent a reply letter at 10:30 am EST. I am going to presume that there is no way to expidite the three month turnaround process that you have described on your blog. Is there a way to figure out what the glitch was that prevented the books from bring submitted back in May? And notice, I misspelled expedite. I blame my smartphone. Which is less than brilliant, obviously. And, notice, I didn't even ask about actually doing anything. I just figured there would be nothing to do. But it was a way to continue the conversation because, well, I really wanted to know what the bleep went wrong her. Is it because I used AOL? Can't be that, he got the second submission confirmation letter. Did I go to spam? Something went wrong somewhere. Also note that I'm not saying that Castalia House screwed up. I'm not blaming them for anything. At all. These. Things. HAPPEN. Period. End sentence. Two hours later, I got another reply. Send it in again and I'll send it directly to the submissions editor with instructions for priority review. May I say, I did not see that one coming. The neurons come to a dead stop and ponder exactly what just happened. Seriously, did the editor in chief personally arrange to have my books fast-tracked? Who does that? Keep in mind, I did not expect anything to come of the exchange aside from confirming that I was just out of luck. The SOP of most businesses state that, well, rules are rules, and if something happens, well, what can you do. Then there was this. Huh. Obviously, I took him up on his offer. Why? Because when the editor of a publishing house makes you an offer like that, you say YES. Now, what does fast track mean? Perhaps it means that it takes one or two months instead of three (keep in mind, I did just drop four books on these people). Keep in mind, they are well within their rights to tell me to toss everything from Honor at Stake onward. Remember, not only was Honor self published, it was published by another company first. Normally, that would make it doubly tainted in the publishing industry -- it would also taint publishing any sequel. Obviously, I can't really tell which way Castalia House can jump though. But, to be fair, the whole set of books could be rejected tomorrow, and they would be perfectly within their rights to. So, what does the publishing schedule look like then? Well, that depends. Obviously, I can make no plans if they like Set to Kill. If they do, then I ask them about Sad Puppies Bite Back and see if they want to run the risk of publishing it whole and entire, or if they'd want to modify it to be Tearful Puppies Bite Back, as I discussed in June. If they like everything I sent them...my next of kin can figure out what to do next, because I'll drop dead from shock. Assuming that "priority review" shaves a month or two off the submission. Let's say I get a rejection by the end of August. I can click the button, and publish at least two out of three books. I may stagger them out a few weeks, just in case. Either way, a rejection at this stage will not impact my books that badly. By the way, for those of you who wonder why I have almost never commented about Vox, or anything he said, or what he's like, it's because my major impression about him has been set by his book The Irrational Atheist, which, frankly, is one of the better books I've ever read on countering the anti-theist crowd. I keep it on the shelf with Dan Dennett and Chris Hitchens, and see if they explode like matter / anti-matter. And, obviously, I have no ability to predict what he's going to do. Anyway, I'm going to start killing time by releasing a nonfiction work. And more on that next week. A hint? Okay. Have I ever mentioned how I did work on songs of the IRA in college? Your novels are -worthy- of publication. Should Castalia reject them, there is Oloris, which also likes this kind of work, or at least some of them, and then there is the Indy route with some fine and successful writers we both 'know' via social media. I've only had one short story published through Castalia, but I've also traded a handful of e-mails with Vox Day through the years. I can tell you that he's always been extremely professional, he's a straight shooter, and he really is one of the easiest people to work with that I've ever worked with. So I'm not surprised to hear that he never actually got your stuff, and that he's responding the way he did.